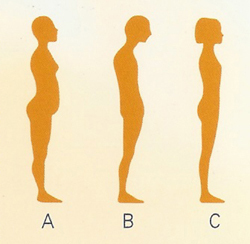 Clients of Rolfing regularly acknowledge that they feel taller, more at ease in their body, "lighter." They report recovering from strain easier and having more physical energy. These are the results of a body being more aligned with gravity. If you would like to read about the benefits that Karin's clients have reported, see the Testimonials. Vogue Magazine: Vogue Magazine published an article, “Back In Style” by Heidi Julavits. "Like yoga, Rolfing is one of those practices that your body instantly tells you makes a lot of sense." March 2007. PDF. Rolfing on Oprah! : My instructor, Jon Martine, demonstrated Rolfing on the Oprah Winfrey Show. 2007. Dr. Andrew Weil’s “Daily Tips” newsletter: “Daily Tips” featured “Four Reasons to Try Rolfing.” July 4, 2008. "Rolfing Revealed" Chicago Tribune, Feb 2010. Describes the experience of Rolfing. "Everything You Know About Muscle is Wrong" by Christopher McDougall. Men's Health, Sept 2009. Author of the popular book Born to Run gives insight into how Rolfers look at body patterns. Science Magazine: Science magazine published “Biomedical research: Cell Biology Meets Rolfing” by David Grimm, about the 2007 Fascial Research Congress. November 23, 2007. PDF. "Rolfing: The Anti-Gravity Device” by Mike Papciak, published in Climbing Magazine. Gives a nice overview of Rolfing, and talks about why Rolfing is great for rock climbers. "Deep Impact” by Linda Knittel. Published in Yoga Journal, July/August 2002. Detailed discussion of how yoga and Rolfing support each other. PDF. "Spiraling Babies” by Ray Bishop, Certified Advanced Rolfer, on Rolfing for children. PDF. Somatics Article Library: Articles for clients and Rolfers. Ida P. Rolf Library of Structural Integration: Articles for clients and Rolfers. "I had wanted to do the 10 Sessions of Rolfing for years.... Then plantar fasciitis (running injury) put me out of commission from athletic competition for over six years. I tried everything, but the fasciitis would always come back. It has been over nine months since I finished my sessions with Karin, and I am running with no pain!" © 2019 Karin Wagner, Certified Advanced Rolfer. All rights reserved.